CPR Select is proud to be the only Physician created and endorse online provider of CPR and First Aid certification. Created to provide the highest quality online healthcare certification available, our content and exams are created by U.S. Board certified license physicians who are trained by American Heart Association. All our courses are based on 2010 American Heart Association guidelines and follows recommended guidelines from the following organizations: Heart and Stroke Foundation of Canada, OSHA, U.S. Dept of Health Services. American Dental Association, U.S. Dept of Education and Emergency Cardiovascular Care (ECC) standards. For more detail visit http://www.mycprcertificationonline.com/. There are little things in life that really restore your faith in humanity – and CPR. A little help from someone at the right time can save a life. If you don’t believe it, you’re in for a surprise! What we’re about to tell you is a story that won’t only motivate you to learn CPR but realize the importance of lending a helpful hand when you can. This is the story of Joyce Gregory, 60, who was driving a metro bus one day when she felt her heart rate become abnormal. She did the first thing a human’s instinct told her to do. She cried for help. The bus driver, Debby Kerr, had just stepped off the bus for a few moments when she heard the cries of “I need help. My heart. My heart,” issuing from inside the bus. She rushed inside to find a regular rider, a mentally challenged man, supporting a semi-unconscious Joyce and preventing her from falling into the aisle. Debby Kerr didn’t freeze on the spot or lose her senses. She remained calm and urgently contacted her dispatcher and informed them of the situation. The dispatcher was told to get medical aid immediately. But looking at Joyce, Kerr knew that time was running out. “Her eyes were already rolling back and her head was dropping. I knew this lady was in trouble right then and there,” Kerr recalls. She remembered that Coach Operator Donna Wright would be arriving shortly on her bus route and she dispatched an oncoming passenger to summon Wright. Upon the arrival of Donne Wright, both her and Debby Kerr tried to revive Joyce. Kerr had not had a CPR class in 25 years and she had never practiced CPR on a real person, let alone in a pressure situation. 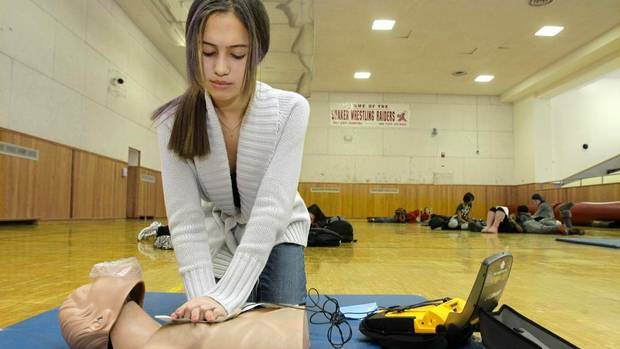 Wright had received CPR certification four years earlier and it was her first time with a hands-on experience as well. “I remember thinking, ‘Jesus, if you’re ever going to answer a prayer, I need your help right now,’” Kerr was praying. Both bus drivers continued their efforts of reviving Joyce but to no avail. Joyce seemed unresponsive. Soon emergency personnel arrived and took over the reviving efforts. They transported Gregory to Bronson Methodist Hospital. 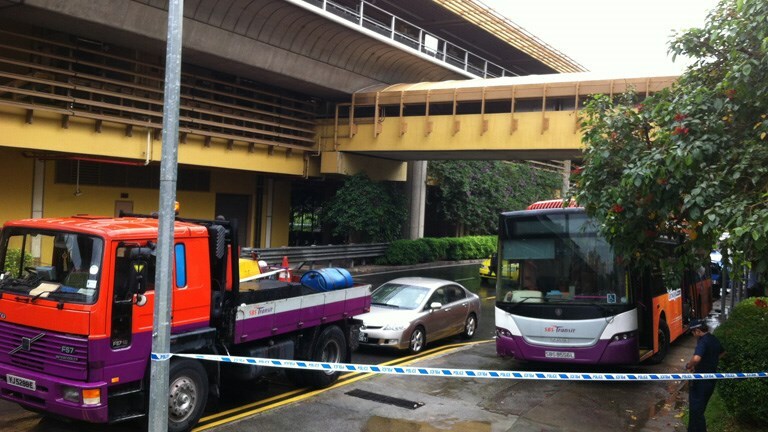 Obviously, the whole incident had both the bus drivers emotionally attached to Joyce’s outcome and they were eager to hear good news, though their hopes weren’t very high. “It was really disheartening to think that she had passed away that close to the holidays,” Wright added. The following Monday, Metro Transit attempted to find out the woman’s name, and know where the agency could direct its condolences. Transit director Bill Schomisch found out that she was very much alive, in the hospital, scheduled for surgery. Kerr and Wright were very relieved at the news and shared the credit for helping give emergency aid to a rider in need. Joyce Gregory, who loves poetry, singing and making people laugh, is recovering from triple-bypass surgery, according to her sister Michelle Gipson. They are among 14 siblings. The family plans to have Kerr and Wright to dinner and some hot-tub time. What’s more? All three of them: Gipson, Wright and Kerr are planning to continue their CPR classes because you never know – a stitch in time saves nine!